WILLISTON, N.D. (Reuters) - Almost 3 million gallons of potentially toxic saltwater leaked from a western North Dakota pipeline into a creek that feeds the Missouri River, the largest spill of its kind in the state's history. 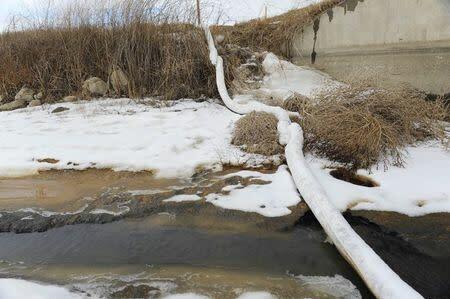 The leak, from a four-inch saltwater pipeline operated by Summit Midstream Partners LP approximately 15 miles north of Williston, occurred earlier this month and was reported to state officials on Jan. 7. It's not clear what caused the leak and an investigation is underway, a Summit spokesman said. Saltwater spills are not uncommon in the oil patch, though the size of the Summit leak has caught many by surprise. 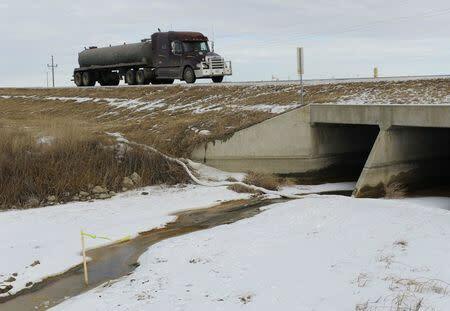 While the spill was first reported publicly on Jan. 8, a statement late Wednesday from the Department of Health was the first to disclose the spill's volume. "Our goal is: you make the mess, you clean it up," said Dave Glatt, spokesman for the North Dakota Department of Health. 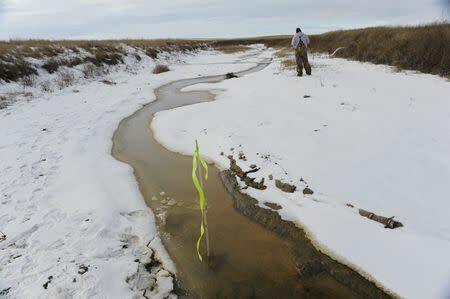 The saltwater from the Summit line leaked into a creek that passes by Williston, considered the capital of the state's oil boom, and flows into the Missouri River. Williston's drinking water comes from the Missouri River, though the city's water department has the ability to turn off collection valves until any harmful material washes downstream. The state's Department of Health said it is monitoring cleanup efforts, and the state's Department of Mineral Resources is inspecting Summit's entire pipeline network, officials said. "We will continue to work tirelessly to see that the cleanup is completed," Rene Casadaban, Summit's operating chief, said in a statement. It's not clear when the line will re-open, though much of Summit's business involves natural gas transport, meaning day-to-day operations should largely be unaffected.